Founded by Dr. Gary K. Michelson, Michelson 20MM is positioned at the cutting edge of innovation in education. We are dedicated to supporting and investing in entrepreneurs, technologies, and higher learning initiatives that seek to transform lives. 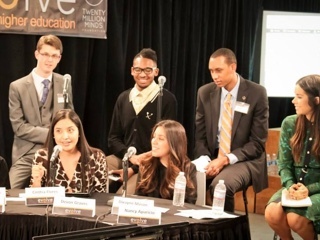 We are at the frontline of ensuring educational opportunities, and thus meaningful careers, are accessible for all. 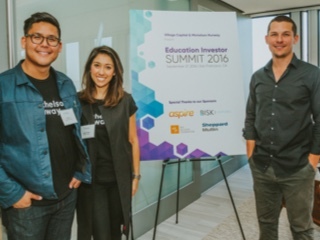 The Michelson Runway EdTech Accelerator invests in companies working on higher learning technologies: programs, products, and/or services that improve equity, access, and efficacy in postsecondary education and career readiness. The Michelson Institute for Intellectual Property mends critical gaps in the world of intellectual property (IP) education, and creates innovation opportunities. We provide the necessary tools to carry IP education beyond the walls of JD programs. 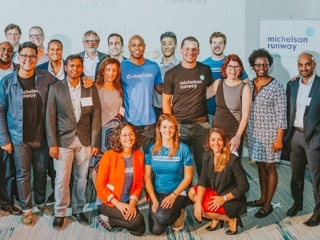 Michelson Runway is the world’s first social impact accelerator dedicated to supporting innovations in higher education and career training. We make targeted investments in three focus areas: Access and Success, Learning Technologies, and Workforce Development. Get insights and information about our overall approach to investments and the companies we’re working with to achieve our vision. Dr. Gary K. Michelson is an orthopedic and spinal surgeon turned inventor, investor, and philanthropist. Today, Dr. Michelson holds more than 340 U.S. patents for medical devices and procedures, and over 953 patents worldwide. He has invested in numerous areas including real estate, timber, energy, securities, healthcare, animal welfare, and education innovations. Through Michelson 20MM, Dr. Michelson supports nonprofits and startups that use higher learning technology to make education more affordable and accessible. Interested in partnering or collaborating with Michelson 20MM? Get in touch with us today!